From an all-in-one complexion correcting palette to an uber-dramatic faux lash kit, these holiday makeup hits are bound to please even the most discerning cosmetics junkie. If perfect makeup starts with a well-balanced palette, then this versatile correct and perfect palette is a must-have for the makeup maven. 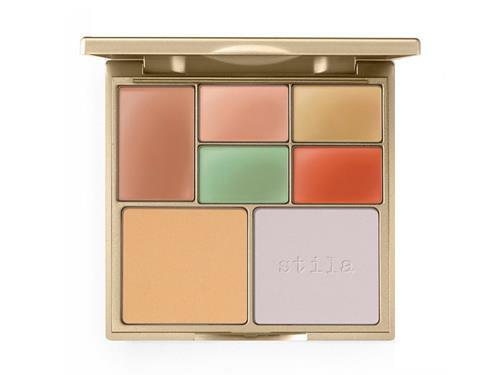 It that features five smooth cream color correctors and two tinted setting powders for customized coverage. Each shade is formulated with an Arclay Youth Revival Bio-Available Mineral Complex that works to diminish fine lines and pores and help with oil control for long-lasting correction. Imperfections are neutralized and dull skin is instantly brightened for total complexion perfection! Every makeup junkie needs a go-to primer! 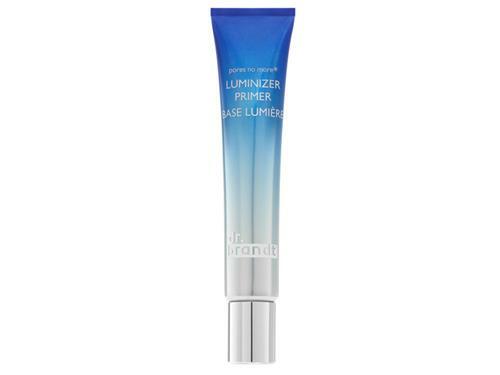 This luminizing primer gives skin a natural glow while refining the appearance of pores with lentil seed extract. It can be applied before makeup, or simply be worn on it's own, for a flawless, glowing complexion. Glo Skin Beauty Leave Your Mark Crayon Box Imagine her delight when she happens upon this grown-up crayon box tucked into her stocking! 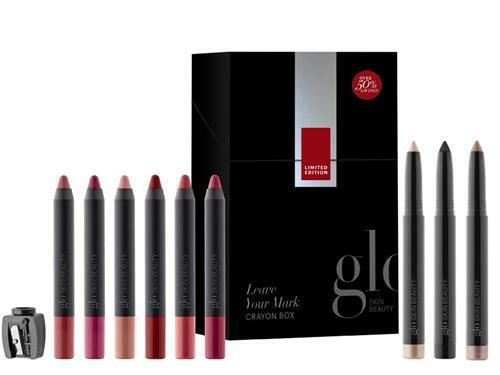 Glo Skin Beauty’s latest limited-edition holiday set features three suede-finish lip colors (in Rumor, Crimson and Demure), three cream glaze lip colors (Heirloom, Dahlia and Chiffon) and three eye shadow sticks (Keepsake, Pitch and Beam). The 10-piece set also includes (of course!) a crayon sharpener. 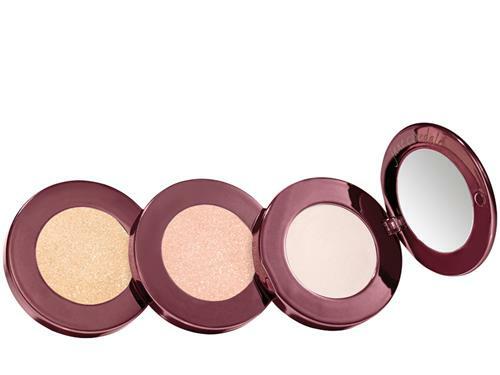 Your giftee will be dreaming of sugar plums after receiving this trio of shimmery shades. The cylindrical tower swivels open to reveal three tiers of luminizing powder to add a gold, copper or pearly finish to cheeks, eyes or lips. A mirror makes on-the-go application that much easier. Shine on, girl! Who doesn’t love a cute clutch? 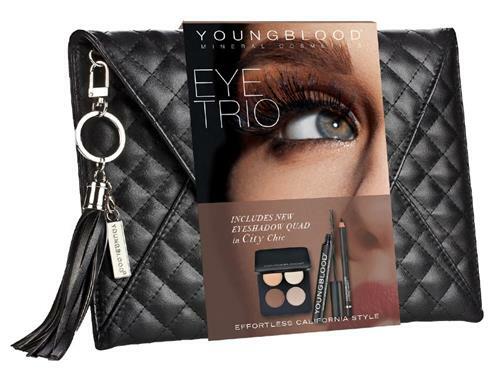 This black quilted envelope-style bag with silver hardware serves as a sleek vessel for three dramatic eye treats: a palette of four matte eyeshadows, Extreme Pigment eyeliner and Outrageous Lashes mascara. All three work together in harmony to create a smashing day-to-night look. 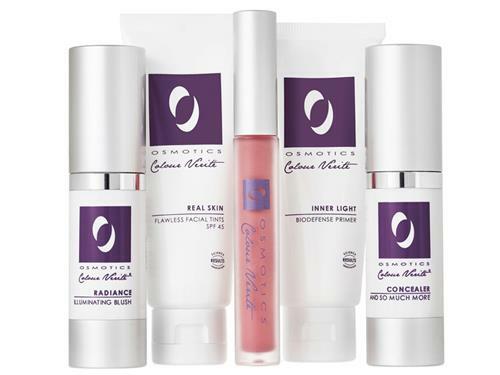 This makeup set from Osmotics is just the thing for that less-is-more lady on your list. Every product does double-duty to provide skin benefits as well as a naturally made-up look. The five-piece collection includes a bio-defense primer, facial tint with SPF 45, anti-aging concealer, illuminating blush with antioxidants and a lip color that fills and smooths vertical lines. It’s all packaged together in a metallic zip bag, with a choice of three colors: light, medium and deep. Looking to delight the brow buff in your life? This four-shade powder palette features matte shades of beige, light brown, dark brown and near-black that do double-duty on your eyelids (use the rounded side of the brush) and eyebrows (use the tapered side of the brush). Silk powder and mineral pigments make for a smooth application of color, while bonus ingredients such as black tea sooth and nourish the super-delicate skin around the eyes. 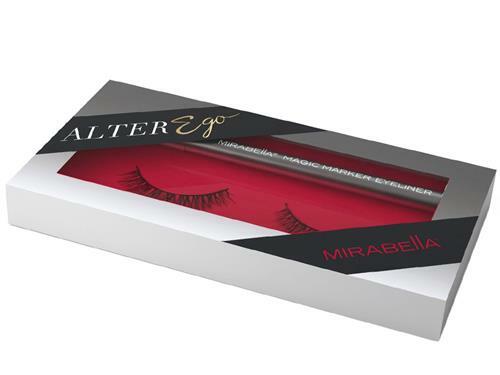 Mirabella Mink Lash and Eyeliner Kit For the Hollywood glamazon on your holiday gift list, look no further. 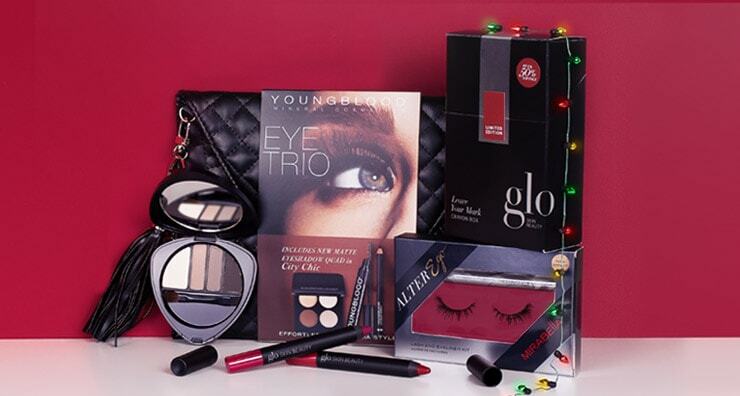 This kit has everything needed to pump up the drama: reusable faux lashes, eyelash glue and a Magic Marker liquid eyeliner to finish the look. For more inspiration, check out our 2016 and 2014 Makeup Gift Guides! What gifts are on your list this season? Leave us a comment! 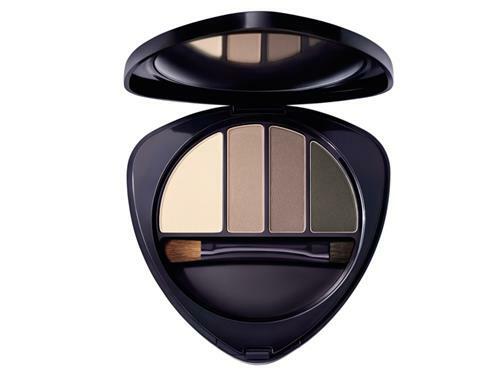 Dr. Hauschka Eye & Brow Palette - NEW!